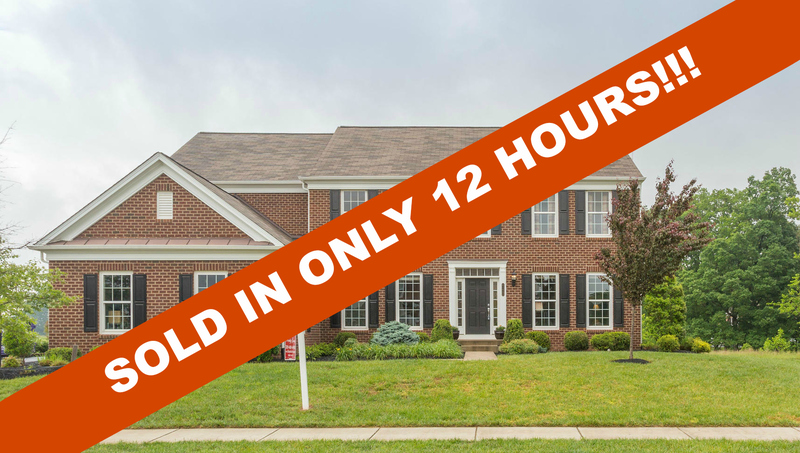 41442 Hagley Place, Leesburg, VA sold in just 12 hours for full asking price of $759,000! Want similar results? Find out how much your home is worth. At 41442 Hagley Place in Leesburg, VA, everything they say is true! Welcome home to the Red Cedar North Village. Kudos come naturally to this picture perfect Briarwood II model with 5,100 square feet of finished living space over 3 finished levels and desirable 3-car side loading garage! Step inside to and be greeted with soaring ceilings, custom molding, grand staircase and tremendous natural light! The main level features the formal living room, beautiful dining room, 2 story family room, home office, Gourmet eat-in kitchen and inviting morning room. Put this kitchen on your menu with upgraded stainless steel appliances, roomy center island, desk area, pantry, mud room and separate laundry. Soak up the sun in the morning room or step outside to your brand new synthetic deck. Weekends were made for relaxing in both spots from coffee to cocktails! Upstairs boasts 4 spacious bedrooms and 3 full baths including a master suite with walk-in closet and spa-like luxury bathroom. A welcoming personal retreat. Stretch all you want there is more in the sprawling finished lower level with lounge-about recreation room, 5th bedroom, 4th full bath, and large storage area. Don't miss the built-in surround sound and wet bar rough-in! All this plus the Red Cedar amenities including neighborhood pool, clubhouse and fitness room. Just a little time to a lot of things - minutes to Downtown Leesburg, Dulles Greenway, Route 7, Route 15, Dulles Airport - yet sprawling hills, trees, and so much greenery you will feel like you are at your own private resort.